Hello my lovelies and happy Friday to you all! You know what that means here on UniqueLoveStyle..Feature Friday time! 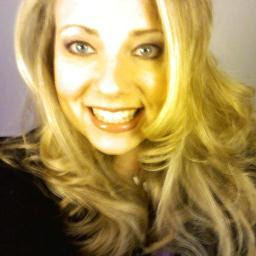 This week's Feature is the wonderful Kimberly Czelusniak also known as, SkinCareGuru4u on Twitter. Kimberly Czelusniak is an award winning professional with experience spanning two decades in the Aesthetics & Beauty industry; With a Strong focus on education resulting in top tier sales results. Offering Independent Aesthetics Business Development Consulting. Licensed in Aesthetics, Professional & Paramedical MakeUp Artistry, Certified in Laser, LHE treatments and chemical peels. Post graduate international aesthetics training with additional 2000+ hours CEU's in clinical skincare. Combining 15+ years experience, 6 years Retail. My key inspiration is my incredible passion for helping people maintain their healthy skin & healthy body! For the last 15 years I have working for many large Skin Care / Beauty corporations as a Business Development Manager (B2B sales) and saw that when companies put profit before people things can get a little blurry. Compiling my 20 + years experience I felt I would have a bigger impact guiding people in making the best choice for their individual skin care needs. I am very ingredient savvy and myself having Gluten and Dairy allergies I became very aware of how challenging this is for both the Aesthetician and the client to find products to put on their skin that where safe and did not pose any risk to their overall health and wellness. With that said, I have also started GlutenFreeGlam -http://paper.li/SkinCareGuRu4U/1369499424 a news letter and twitter account @glutenfreeglam dedicated to help guide people in make educated choices all the while keeping their Glam on! I really enjoy being free to give skincare advice that is not specifically related to any one product brand. This is how I earned a living for most of my career ( and I am thankful for all my successes) but I have to say....it is really refreshing to be able to help people make choices based on their specific skin care needs & lifestyle choice (be they looking for organic products or Gluten free products), their investment level and skin care goals rather than being limited or boxed into one brand! It has been liberating! My biggest moment, so far, was all started from a connect I achieved through microblogging (twitter) with Mark A. McKenney - aka - @MarktheSpaMan. He asked if I would be interested in submitting an article for Dermascope Magazine! Dermascope Magazine has always been the bible of Aesthetics all over the world! My article "10 Things About...Volunteering in your Community" was published in the June 2013 issue! I read my first Dermascope while in Aesthetics school and my teacher, Lisa Gaudreau, a CIDESCO Diplomat and a Outstanding Mentor gave me a few of hers to read. As the years have passed we fell out of touch but I did notice she LIKED my Dermascope article through the powers of social media!!! That speaks to how far our reach can go with the social networking available to us all.... like us connecting across the world...it is very exciting to broaden my range of connections and influence! This is a thrilling time for me! I will be launching a new website in mid- July - www.skincareguruforyou.com and linking my GlutenFreeGlam site to it! It will offer skincare advice, focus on GlutenfreeDairyFree products, Organic living advice, clean eating, relaxation, and eventually (end of 2013) I will be selling a few select brands (that I am currently accessing) from my site! GET on twitter and network! Start reading all you can on social media...things are never going back to traditional marketing....so get on the train and don't let naysayers dampen your desire! The INFO dump! I like to pick a skincare topic (say sun damage) and go over a brief history of how you get it (causes & effect) and then provide a variety of different options to treat the resulting sun damage (correct). I will outline a variety of treatment options (natural skincare, clinical options, at home treatments) and to wrap it up I go over prevention (so they stop it from happening again)! I like to deliver helpful information to a specific skin challenge and give some choices to treat it...we all like to have choices! 7) 3 Must have beauty items you couldn't be without? Feel free to drop on over to her social sites where you connect with her lovely self! It's been such an honour to learn more about you Kimberly I know for sure who I'll ask for all skincare advice! Check out her links and have a fabulous weekend!